I blogged earlier about opinions on motions in limine in the Scali prosecution. See Opinion on Discovery in Tax Evasion Case of Reliance on Counsel Documents (Federal Tax Crimes 1/26/18), here. I blog today on two more opinions on motions in limine regarding, in part, testimony of a tax attorney, Jared Scharf, that Scali had used before the criminal prosecution for certain civil tax matters. The first is an opinion dated 1/23/18, here, and the second is an opinion dated 1/29/18, here. And here is an updated docket report, here, showing a lot of commotion in the case. Jared Sharf, the Defendant's former tax attorney, is expected to testify about information and documents provided to him by the Defendant for the purposes of drafting correspondence to the IRS with respect to Counts Three through Seven n5 of the Superseding Indictment. (Govt. Opp. to Def. Second Motion In Limine ("Govt. Second Opp.") 4-5, ECF No. 132.) The Defendant moves to bar the Government from compelling Sharf s testimony in their case-in-chief on the grounds that it may violate the attorney-client privilege. (Def. Second Mot. 5.) The Court denies the motion at this time. First, the Government submits that it intends to question Scharf on issues which do not include communications between the Defendant and Scharf protected by the attorney-client privilege. n6 (Govt. Second Opp. 5.) Second, it is still unclear if the Defendant will waive the attorney-client privilege as to these communications by appropriately raising an advice of counsel defense. See United States v. Wells Fargo Bank N.A., No. 12-CV-7527, 2015 U.S. Dist. LEXIS 84602, 2015 WL 3999074, at *2 (S.D.N.Y. June 30, 2015) (noting the "well-established principle that where a party asserts an advice-of-counsel defense, that party impliedly waives any privilege that would otherwise attach to communications between him and his counsel"). As a result, the Court is unable to ascertain the extent of the Defendant's waiver of the attorney-client privilege at this time. Accordingly, the Defendant's motion is denied. n5 Counts Three through Seven charge the Defendant with making false statements to IRS officers on two occasions, corruptly endeavoring to obstruct and impede the due administration of the Internal Revenue Laws, and two counts of tax evasion. n6 Specifically, the Government argues that the Defendant relinquished the attorney-client privilege as to the documents that the Defendant intended to send to the IRS in connection with his taxes. See Schaeffler v. United States, 806 F.3d 34, 40 (2d Cir. 2015) (The privilege ... protects communications between a client and its attorney that are intended to be, and in fact were, kept confidential. A party that shares otherwise privileged communications with an outsider is deemed to waive the privilege by disabling itself from claiming that the communications were intended to be confidential. ); see also Bradley v. C.I.R., 209 Fed. App'x 40 (2d Cir. 2006) (noting that it could be reasonably inferred that Defendant waived the attorney-client privilege after the Defendant's tax attorney disclosed documents to accountants, who then disclosed the documents to the IRS). In United States v. Murphy, 2018 U.S. App. LEXIS 1508 (9th Cir. 2018), unpublished, here, Murphy was convicted of four counts of filing fictitious financial obligations (18 USC § 514), three counts of making false claims (18 USC § 287, and one count of tax obstruction (§ 7212(a). The opinion, as is sometimes true particularly of unpublished opinions, is fairly cryptic. I focus on four issues, more as reminders to students and practitioners rather than addressing new issue or analysis. Neither the largely unintelligible text he printed on each page nor the equally opaque letter accompanying his returns clearly indicate that he sought to have that money set off against his debt rather than refunded to the accounts whose information he provided; indeed, these passages are largely gibberish. I am confused as to why the court needed to affirm on that basis. Applying refunds to other debts -- I presume other tax debts -- is the equivalent of a refund, and if that were Murphy's intent to illegally lower his other debt (tax or otherwise), the object of the offense was the amount that he requested be applied. Second, Murphy complained that the sentencing court had applied both the sophisticated means two level enhancement and the obstruction two level enhancement. It is not clear what the basis for the sophisticated means enhancement was but Probation recommended the obstruction enhancement because "the defendant sent false written accusations of criminal conduct to an IRS employee, for the purposes of intimidation, in order to prevent him from performing official duties." Of course, such conduct could be obstruction. And it is not at all clear from the opinion how that conduct would have entered into the determination of sophisticated means, so as to even present the issue of "double counting." There is nothing at all sophisticated about sending "false written accusations of criminal conduct to an IRS employee, for the purposes of intimidation, in order to prevent him from performing official duties." The Court of Appeals does say that overlapping conduct may have been involved, but does not hint what the overlapping conduct may have been or that the sentencing court considered such overlapping conduct in imposed the obstruction enhancement . In any event, the Court of Appeals ties its conclusion that the sentencing court did not improperly based the obstruction enhancement on conduct considered for the sophisticated means enhancement. David M. Katz, Trump Tax-Returns Defender on Tap to Head IRS: Report (CFO 1/25/18), here. On Tuesday night, Politco, citing multiple sources with knowledge of the selection process, reported that President Trump will nominate Rettig to head the IRS. Rettig would then have to be confirmed by the Senate. Now for some of you who are not tax litigators, I think Rettig's hypothetical advice was solely from the perspective of a tax controversy lawyer advising Trump with the sole focus on representing him under audit. I think most tax controversy lawyers would advise Trump that, solely based on the needs of that representation in the audit, there would be nothing to be gained from disclosing his tax returns. Rettig's advice did not address anything other than the hyptothetical tax controversy lawyer's perspective. Finally, in my opinion, Chuck will be a great Commissioner. Some tax crimes related news on the Davos World Economic Forum, here. Switzerland today asked the US to swiftly conclude proceedings against some Swiss banks for better banking activities, as its President Alain Berset met his American counterpart Donald Trump. With regard to the banking dispute, the Swiss delegation explained that it would be beneficial for bilateral business activities if the proceedings against Swiss 'Group 1 banks' were to be concluded swiftly. This would provide greater legal certainty and open up fresh economic opportunities. The separation of powers is to be respected, as per the statement. Some Swiss banks are facing regulatory action from the US authorities for allegedly helping American citizens evade tax. The tax dispute between the two countries involving Swiss banks was also mentioned, with Berset adding that it was time to turn a new page on this issue, in a move that would benefit both countries. charged in a ten-count indictment with (1) mail fraud in violation of 18 U.S.C. § 1341; (2) structuring to evade currency transaction reports in violation of 31 U.S.C. § 5324(a)(3); (3)—(4) false statements in violation of 18 U.S.C. § 1001; (5) corruptly endeavoring to obstruct and impede the due administration of the Internal Revenue Laws in violation of 26 U.S.C. § 7212(a); (6) tax evasion for the year 2011 in violation of 26 U.S.C. § 7201; (7) tax evasion for the year 2012 in violation of 26 U.S.C. § 7201; (8) obstruction of justice in violation of 18 U.S.C. § 1503; (9) perjury in violation of 18 U.S.C. § 1623; and (10) mail fraud in violation of 18 U.S.C. § 1341. The Government's motion for an order compelling Defendant to provide prompt notice and to produce all discovery relating to any advice of counsel defense he intends to advance at trial is granted in part. The question of whether the Defendant will assert an advice of counsel defense with regards to the two tax evasion counts is moot because the Defendant unequivocally admitted to it in his pleadings. (Def. Mot. 25 ("Scali intends to demonstrate that he is not guilty of tax evasion because, for the years in question, he followed counsel's advice and provided his complete books and records to the IRS").) See Royal Park Investments SA/NV v. United States Bank National Association, 14 Civ. 2590 (VM), 2017 U.S. Dist. LEXIS 157986, 2017 WL 4174926, at *9 (S.D.N.Y. Aug. 28, 2017) ("[A] defendant must clearly elect whether it will raise an advice-of-counsel defense before the close of discovery and in time to allow for such discovery") (citation and quotations omitted). As a result, the Defendant should have made pertinent disclosures during discovery, absent special considerations. See id; see also United States v. Wells Fargo Bank, N.A., 2015 U.S. Dist. LEXIS 84602, 2015 WL 3999074, *1 (S.D.N.Y. June 30, 2015) ("[T]he burden is on the party who intends to rely at trial on a good faith defense to make a full disclosure during discovery and the failure to do so constitutes a waiver of that defense") (quotations and citations omitted); Arista Records LLC v. Lime Grp. LLC, No. 06 CV 5936(KMW), 2011 U.S. Dist. LEXIS 42881, 2011 WL 1642434, at *2 (S.D.N.Y. Apr. 20, 2011) ("[A] party who intends to rely at trial on the advice of counsel must make a full disclosure during discovery; failure to do so constitutes a waiver of the advice-of-counsel defense.") (citations and quotations omitted); United States v. Hatfield, No. 06-CR-0550 (JS), 2010 U.S. Dist. LEXIS 4026, 2010 WL 183522, *13 (E.D.N.Y. Jan. 8, 2010) ("This disclosure should include not only those documents which support [the] defense, but also all documents (including attorney-client and attorney work product documents) that might impeach or undermine such a defense"). n4 The Government suggests that the Defendant may be precluded from asserting an advice of counsel defense, but does not make the argument forthright. Guided by efficiency and judicial economy, it behooves the Court to address this issue before trial. See United States v. Paul, 110 F.3d 869, 871 (2d Cir. 1997) ("[I]t is appropriate for a court to hold a pretrial evidentiary hearing to determine whether a defense fails as a matter of law"). DOJ Tax announced here the sentence for Hyung Kwon Kim for an FBAR violation. (Note that the announcement identifies the defendant as Huong rather than Hyong, but Hyong appears to be a misspelling of his first name per the underlying documents.) I previously blogged on Kim's guilty plea. Another FBAR Plea And Notice of Government Change of Position on Applicable Guidelines (Federal Tax Crimes Blog 10/27/17), here. The key numbers are exceptional. The amount of the unreported or underreported accounts is over $28 million. The FBAR penalty is over $14 million. The sentence is only 6 months. According to documents and other information provided in court, Hyong Kwon Kim, a citizen of South Korea and, since 1998, a legal permanent resident of the United States, resided in Massachusetts and later in Connecticut. Kim, a sophisticated business executive who ran family businesses with operations in the United States and internationally, inherited tens of millions of dollars that he stashed in secret accounts at Credit Suisse, its subsidiaries, and another Swiss bank. Kim deliberately violated the U.S. bank secrecy laws by failing to report his foreign financial accounts to the Treasury Department. U.S. citizens, resident aliens, and permanent legal residents with a foreign financial interest in or signatory authority over a foreign financial account worth more than $10,000 are required to file a Report of Foreign Bank and Financial Accounts, commonly known as an FBAR, disclosing the account. The described pattern of conduct is not particularly exceptional. What is exceptional about the plea and the sentencing is the Government's announcement in the plea and resulting publicity that it had changed the position on the applicable Sentencing Guideline. Historically, for FBAR violations related to income tax evasion, the DOJ had recommended and most cases had been sentenced under the tax guidelines which calibrated the additions to the Base Offense level based on the tax evaded. In the Kim plea, DOJ Tax announced that the Guidelines would be under SG § 2S1.3 and the incremental offense levels under the theft guideline in SG § 2B1.1. I discussed this in the blog on the plea agreement linked above and in a subsequent blog where the change in position was discussed at a tax conference. More on New DOJ Tax Position on FBAR Sentencing Guidelines (11/9/17), here. Notwithstanding this change of position, DOJ Tax agreed in the plea agreement that it would urge the application of the tax guidelines from fairness to this defendant. I noted, however, that the Probation Office and Judge are not bound by this aspect of the agreement. Indeed, one would think that the judge has to apply the right guidelines even if the parties agreed otherwise. But, let's see. I recently wrote on Bradley Birkenfeld's continuing judicial efforts at some level of redemption or at least recompense. See Birkenfeld Loses Malicious Prosecution Suit and Appeal Against His Partner in Crime, Olenicoff (11/13/17), here. Birkenfeld is the former UBS account officer who was instrumental in blowing the lid on Swiss bank secrecy for U.S. tax evasion (for which he was given a whistleblower award of $104 million), but who, nevertheless, served time for a tax crime. Birkenfeld has appeared frequently in Federal Tax Crimes Blog Entries (a search on his name will pull up the entries, either by relevance or by date order). Birkenfeld appeared again in my search of recent cases. In Birkenfeld v. UBS AG, 2018 N.Y. Misc. LEXIS 92; 2018 NY Slip Op 30036(U) (2018), here, The NY Supreme Court for the County of New York dismissed Birkenfeld's suit against UBS and a UBS related entity and related person for defaming him. [Note that the linked opinion is docket # 44 on the docket sheet; Docket #43 appears to be the same opinion; readers can obtain both opinions from the docket sheet links here [Note you have to enter some information to make sure you are not a robot, but after doing so should get to the docket entries.] Birkenfeld has filed a notice of appeal (see Docket Entry #47). Hence I report on the opinion for dismissal. In October of 2016 Plaintiff published a book entitled "Lucifer's Banker: The Untold Story of How I Destroyed Swiss Bank Secrecy" (Complaint ¶ 17). On or about November 6, 2016, the New York Post published an article regarding Plaintiff and his book. The article includes a statement attributable to Defendants: "This unedited work and often unsubstantiated recollection only benefits Mr. Birkenfeld, who has been convicted in the U.S. for, among other things, having lied to the U.S. authorities. "9 Plaintiff alleges that the phrase "having lied to U.S. authorities" is defamatory because he was never charged or convicted of lying to government authorities (Complaint ¶¶ 20-26). On or about April 3, 2017, the Bloomberg BNA Daily Tax Report published an article about Plaintiff which includes a similar statement attributable to Defendants: "[Plaintiff's] continuing efforts to publicize his book and his often unsubstantiated recollections only benefit Mr. Birkenfeld, who has been convicted in the US for, among other things, having lied to the US authorities." Like the New York Post article, Plaintiff alleges that the phrase "lied to the US authorities" is defamatory because he was never charged with or convicted of lying to government authorities (Complaint ¶¶ 41-47). The Complaint seeks $10 million in compensatory damages, $10 million in punitive damages, and an order requiring Defendants to retract both statements. In lieu of an answer, Defendants filed this motion to dismiss. The documentary evidence presented on this motion demonstrates that the challenged statements are a substantially truthful, if not absolutely truthful, summary of Plaintiff's conviction, i.e., conspiring to defraud a United States agency in violation of 18 USC § 371. According to the Statement of Facts, which Plaintiff admitted on the record and under oath to be accurate, Plaintiff conspired to file false information with and conceal information from the IRS, a government agency. Thus, Plaintiff's focus on the differences between "lying" and "conspiracy" is unavailing. To be sure, the government does rely on other criminal statutes to charge people who lie to it (see 18 USC § 1621, 18 USC § 1001), and a person can be guilty of violating 18 USC § 371 without uttering a false statement. But despite the existence of these other statutes, Defendants may properly defend against Plaintiff's complaint by noting that he did, in fact, lie to the government by assisting his clients to file false tax returns. The determinative question is whether there is a difference between accusing someone of "lying" when in fact that person was convicted of "defrauding" — in other words, whether there is a meaningful distinction between saying that someone "lied to U.S. authorities" and saying that someone "defrauded U.S. authorities." From a definitional standpoipt, to defraud n12 involves some form of misrepresentation, essentially a lie. n13 And, in the context of this case, any distinction between these two charges is substantively insignificant. Plaintiff's indictment, Plea Agreement, Statement of Facts, and the colloquy on the record during his plea hearing all show that his crime, while perhaps most accurately described as conspiracy to defraud, in sum and substance involved a lie. Plaintiff admitted to multiple wrongful acts in furtherance of a conspiracy to hide information from the IRS by preparing false and misleading IRS forms and assisting clients to conceal assets from the US government. In its simplest form, Plaintiff did in fact lie to a federal authority. Thus, the "essence of [Defendants'] statement" was accurate. Cusimano v United Health Servs. Hosps., Inc., 91 AD3d 1149, 1152, 937 N.Y.S.2d 413 (3rd Dept 2012). n12 Defraud, "To cause injury or loss to (a person) by deceit" (Black's Law Dictionary (9th ed. 2009)); "To take or withhold from (one) by some possession, right, or interest by calculated misstatement or perversion of truth, trickery, or other deception" (Webster's Third New International Dictionary (1961)); Fraud, "A knowing misrepresentation of the truth of concealment of a material fact to induce another to act to his or her detriment" (Black's Law Dictionary (9th ed. 2009)). n13 Lie, "To tell an untruth, to speak or write falsely" (Black's Law Dictionary (9th ed. 2009); "To make an untrue statement with intent to deceive" or "to create a false or misleading impression" (Webster's Third New International Dictionary (1961)). Whenever there is some commotion in Washington that calls for political-types or their enablers to give testimony (either in congressional or grand jury investigations), one of the issues that arises is whether the witness will give the testimony under oath or not. Those with some familiarity of the criminal law related to testimony in such investigations know that there are two potential criminal regimes involved--perjury and false statement, both of which are crimes with substantial overlap. The issue came up again today in the popular press where a witness -- Stephen Bannon -- negotiated (through his lawyers) the giving of testimony not under oath (this is often called a proffer session subject to the crime of false statement) rather than before the grand jury under oath (and thus subject to the crime of perjury). This frequently arises in a tax crimes setting where the witness -- who may be a putative target or subject of the investigation depending upon how the prosecutor feels for that day (I'll not get into that now) -- might prefer not to be under oath and thus might want his lawyer to "negotiate" (with an appropriate Queen for a Day letter) a proffer session rather than testifying under oath in the grand jury (assuming he might even be tempted for not assert his Fifth Amendment privilege in the grand jury room). One reason is that the witness may feel less exposure under a false statement criminal regime rather than a perjury criminal regime. So, I thought I would do a quick survey of some of the issues that have concerned me about the differences between perjury and false statements. Perjury, 18 USC § 1621(1), here. Perjury before the Grand Jury, § 1623, here. False Statement, § 1001, here. In United States v. Parker, 2018 U.S. App. LEXIS 712 (4th Cir. 2018) (unpublished), here, the Fourth Circuit affirmed Parker's conviction for "conspiring to file false tax returns, in violation of 18 U.S.C. § 371, and presenting false claims to the Internal Revenue Service (the "IRS"), in violation of 18 U.S.C. § 287." As a nonpublished opinion, it may have diminished precedential value. Still, there are some items in the opinion that I find worthy of mention. If you find that the defendant was aware of a high probability that the tax returns at issue were false and that the defendant acted with deliberate disregard of the facts, you may find that the defendant acted knowingly. However, if you find that the defendant actually believed that the tax returns at issue were true, he may not be convicted. Second, at trial, "Parker objected to this [willful blindness] instruction arguing that he could not be willfully blind to a conspiracy." From that cryptic comment, not further addressed in the opinion, I presume that the defendant was asserting that willful blindness is not proper in conspiracy because conspiracy requires specific intent to reach an agreement for an illegal object. As with using the instruction for the standard tax crimes mens rea -- specific intent to violate a known legal duty -- it could be viewed as an oxymoron to say that willful blindness can substitute for the specific intent required for conspiracy. It seems to me that, if the crime requires the specific intent as the element, courts cannot authorize something less than that specific intent under the rubric of willful blindness. In other words, the willful blindness properly interpreted should merely be evidence that a jury may find persuasive that the defendant had the required intent. Nevertheless, Courts do seem to authorize the willful blindness instruction in conspiracy cases. See Ninth Circuit Pattern Instruction 5.7 Deliberate Ignorance, here, ("United States v. Ramos-Atondo, 732 F.3d 1113, 1120, 1124 (9th Cir.2013) (deliberate ignorance instruction may be given in conspiracy case). Third, I also recommend readers read the entire Ninth Circuit pattern instruction and comment which demonstrates some of the confusion with the willful blindness instruction. The actual pattern instruction uses the "may find" construct which seems to be that willful blindness merely supports an inference of the knowledge element of the crime. In other words, it is like circumstantial evidence of the required knowledge. Then, however, the comment says that, in the approved Jewell decision, "the district court must determine whether the jury could rationally find willful blindness even though it has rejected the government’s evidence of actual knowledge." (Bold-face supplied by JAT.) Query, if the willful blindness instruction merely permits the jury to infer knowledge, how can it be appropriate where the jury has rejected finding knowledge? In United States v. Huynh, 2018 U.S. App. LEXIS 767 (9th Cir. 2018), unpublished, here, the Court of Appeals affirmed Huynh's conviction for "one count of conspiracy to commit medical fraud in violation of 18 U.S.C. § 371 and eleven counts of subscribing to a false tax return in violation of 26 U.S.C. § 7206(1)." The decision is rather cryptic and, since unpublished, does not, I think, deserve further analysis. The decision does permit a digression over an issue that caught my attention. 2. Huynh also takes issue with the jury instruction stating that the prosecution was "not required to prove that any additional tax was due to the government or that the government was deprived of any tax revenues by reason of any filing of any false return." Specifically, he contends that because "a tax loss [was] the only material false statement charged in [the] tax counts," this instruction allowed the jury to convict him under Section 7206(1) without finding that his filings were incorrect as to material matters. This argument misrepresents the nature of the charges against him. Huynh was charged with and convicted of underreporting income—not underreporting tax liability. Moreover, the challenged instruction is consistent with the principle that "[t]he existence of a tax deficiency is not an element of this crime" under Section 7206(1). United States v. Marabelles, 724 F.2d 1374, 1380 (9th Cir. 1984); see also United States v. Marashi, 913 F.2d 724, 736 (9th Cir. 1990) ("Section 7206(1) is a perjury statute; it is irrelevant whether there was an actual tax deficiency."). And we are not persuaded by Huynh's citation to United States v. Uchimura, 125 F.3d 1282 (9th Cir. 1997), that the instruction took the materiality decision away from the jury. 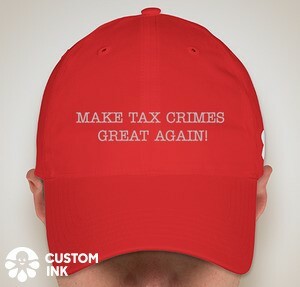 It is black letter law that a tax deficiency as a result of the false statement on the return is not an element of the crime of tax perjury in § 7206(1). It is not thought that the lack of a tax deficiency is a defense to the crime. However, materiality is an element of the crime. So the question is whether the lack of a tax deficiency or the presence of a tax deficiency is relevant to the issue of materiality and thus admissible and considered by the jury. Of course, if the lie that the indictment charges is tax underreported, then tax deficiency is an element of the crime. But, § 7206(1) charges are usually brought where there is some other lie such as gross income omitted from the return, Schedule B foreign account question answered no rather than yes, or some such. In those other cases where underreported tax is not the lie charge, then tax deficiency is not an element of the crime. This Circuit has never explicitly defined "material" in Section 7206(1), although our Model Jury Instructions for Section 7206(2) define it as "something necessary to a determination of whether income tax was owed." Ninth Circuit Model Jury Instructions: Criminal 9.06E (1995). The definitions applied by other Circuits, and by at least one of our Districts, employ similar language. Klausner, 80 F.3d at 60 ("essential to the accurate computation of . . . taxes"); Aramony, 88 F.3d at 1384 ("in order that the taxpayer estimate and compute his tax correctly"); U.S. v. Warden, 545 F.2d 32, 37 (7th Cir. 1976) (same); U.S. v. Rayor, 204 F. Supp. 486, 491 (S.D.Cal. 1962) (same). We now hold that information is material if it is necessary to a determination of whether income tax is owed. Despite our adoption of a materiality definition similar to the one in Klausner, we cannot agree with the Second Circuit. The logic that must be employed (whether by a judge or by a jury) to deduce that a false statement is material renders materiality a "mixed question of law and fact." Under 18 U.S.C. § 1001, deciding whether a statement is material requires the determination of "at least two subsidiary questions of purely historical fact: (a) `what statement was made? '; and (b) `what decision was the agency trying to make?'." Gaudin, 115 S.Ct. at 2314. Under 26 U.S.C. § 7206(1), deciding whether a statement is material surely requires a similar determination of (a) "what statement was made? "; and (b) "what information was necessary in this case to a determination of whether income tax was owed?". The FTCA's broad waiver of sovereign immunity for tort claims against the government is subject to several exceptions. See Kosak v. United States, 465 U.S. 848, 851-52, 104 S. Ct. 1519, 79 L. Ed. 2d 860 (1984). As relevant here, the FTCA does not waive sovereign immunity for claims "arising out of . . . misrepresentation." 28 U.S.C. § 2680(h). For purposes of this exception, "a misrepresentation may result from the failure to provide information, as well as from [the] provi[sion] [of] information that is wrong." Ingham v. E. Air Lines, Inc., 373 F.2d 227, 239 (2d Cir. 1967) (emphasis added). And the exception "applies to claims arising out of negligent, as well as intentional, misrepresentation." Block v. Neal, 460 U.S. 289, 295, 103 S. Ct. 1089, 75 L. Ed. 2d 67 (1983). The plaintiffs' complaint alleges that the Internal Revenue Service ("IRS"), in violation of the laws of New York, aided and abetted Ernst & Young ("EY") in breaching a fiduciary duty EY owed to the plaintiffs. Essentially, the plaintiffs claim that the IRS took steps to conceal from the plaintiffs the fact that EY was the subject of a criminal investigation that created a conflict of interest for EY in its representation of the plaintiffs in a civil audit before the IRS. The plaintiffs claim that they were injured by this concealment because, if they had known at the time of their audit that EY was under criminal investigation, they could have used that information to (1) convince their then-employer, an EY client that eventually terminated the plaintiffs over concerns arising from the audit, to instead terminate EY; and (2) pursue their arbitration claim against EY for fiduciary-duty breach in a more cost-effective manner. "A plaintiff may not by artful pleading avoid [§ 2680(h) of the FTCA]." Dorking Genetics v. United States, 76 F.3d 1261, 1265 (2d Cir. 1996). "In determining the applicability of the § 2680(h) exception, a court must look, not to the theory upon which the plaintiff elects to proceed, but rather to the substance of the claim which he asserts." Lambertson v. United States, 528 F.2d 441, 443 (2d Cir. 1976). Although the plaintiffs style their claim as one for "aiding and abetting a fiduciary-duty breach," the gravamen of that claim is that the IRS wrongfully withheld information from them. Indeed, in their complaint, the plaintiffs allege that they suffered their principal injuries because the "IRS . . . helped EY to hide information" and "[a]s a result of . . . the IRS's active concealment" of its criminal investigation and audit of EY's tax practices. App'x at 8-9. The alleged conduct that was "essential" to the plaintiffs' claimed injuries was the IRS's non-communication of information. Block, 460 U.S. at 297. Accordingly, the claim "aris[es] out of . . . misrepresentation" under 28 U.S.C. § 2680(h), and no court is statutorily accorded jurisdiction to hear it. The plaintiffs attempt to evade the misrepresentation exception by identifying two "non-concealment" acts that they allege in their complaint. Appellant's Br. at 24. First, they point to allegations that the IRS removed the word "penalty" from a press release regarding the IRS's audit of EY. Second, the plaintiffs contend that the IRS's failure to prohibit EY from representing them in audit proceedings due to a conflict of interest was not an act involving a representation. The plaintiffs' arguments are unavailing. As to the first argument, the allegation that the IRS decided to remove the word "penalty" amounts to an allegation that the IRS misrepresented to the public the nature of the IRS's concern with EY's tax shelter practices. This claim centers on the "communication of information on which the recipient relies," and is therefore barred by the misrepresentation exception. Block, 460 U.S. at 296. Similarly, the plaintiffs' second argument fails, because the plaintiffs' theory is that by failing to prohibit EY from representing them, the "IRS . . . helped EY to hide information from [the] Plaintiffs[,] knowing that such information would have been critical to [the] Plaintiffs' evaluation of whether to trust EY." App'x at 8. This claim too concerns communicating information to the plaintiffs, and therefore the plaintiffs fail to allege "the breach of a cognizable duty owed to [them] which is 'distinct from any duty to use due care in communicating information.'" Dorking Genetics, 76 F.3d at 1265 (quoting Block, 460 U.S. at 297). The Joint Appendix (containing the complaint and the decision below, here. The Appellant's Opening Brief, here. The U.S. Answering Brief, here. The Appellant's Reply Brief, here. In United States v. Sertich, ___ F.3d ___, 2018 U.S. App. LEXIS 457 (5th Cir. 2018), here, the Court affirmed the convictions of Sertich, a physician, under § 7202 (failure to collect, account for and pay over trust fund tax) and § 7201(tax evasion). The gravamen of the case, as described in the opinion, related to Sertich's pattern of conduct with respect to the trust fund tax. He withheld the tax from the employees (including himself), accounted for withholding on the required forms and did not pay over the tax to the IRS. Presumably, he reported the withholding to the employees (including himself) on the Form W-2 so that they (including himself) could claim the amounts withheld from them on their tax returns, Forms 1040. (As an aside, it takes some chutzpah for a taxpayer to claim the withholding credit for his own "withheld" tax he caused not to be paid over to the IRS.) But he went beyond mere failure to pay over. First, his accountant had told him repeatedly that he had the obligation to pay over. Second, he resisted the IRS's attempts for years to collect the tax through avoiding IRS collection officers, filings of bankruptcy, etc. He told the jury that he always intended to pay his taxes. He stated that his failure to do so was related to personal and family issues, and because he lacked the financial ability to comply. Sertich admitted he pursued bankruptcy filings to develop a payment plan, stressing that he always intended to make good on his debts. He also explained that because his accountant told him he would have to pay interest on his tax delinquency, he "assumed" the delinquency "was a loan" from the federal government. It is not indicated whether his accountant told him that he would be subject to penalties on the failure to pay over, including the potential trust fund recovery penalty, under § 6672. The jury convicted on all counts. 1. Jury Instruction -- § 7202 Conjunctive Reading or Disjunctive Reading. Section 7202, titled "[w]illful failure to collect or pay over tax," provides that "[a]ny person required . . . to collect, account for, and pay over any tax imposed by this title who willfully fails to collect or truthfully account for and pay over such tax shall . . . be guilty of a felony." 26 U.S.C. § 7202 (emphasis added). The statute thus naturally breaks into two offenses: (1) willful failure to collect employees' taxes; or (2) willful failure to truthfully account for and pay over withheld taxes. At issue in Sertich's case is the second offense: willful failure to truthfully account for and pay over the taxes. The district court instructed the jury that as to this offense, "the government must prove that the defendant failed to comply with one of the two duties for which he was responsible," either accounting for or paying over a tax. The district court explained by example that § 7202 is violated if "a responsible person who collects taxes from his employees and files [returns] with the Internal Revenue Service . . . willfully fails to pay over the taxes to the United States." In United States v. Wrubleski, 2017 U.S. App. LEXIS 17168 (11th Cir. 2017) (unpublished), here, two issues interested me. First, testimony from an IRS attorney who had handled a prior Tax Court case brought by Wrubleski. Second, a holding on admission of co-conspirator testimony under FRE 801(d)(2)(E). Even assuming it was error to admit the evidence of Wrubleski's litigation history—a question we need not decide—the admission of this evidence did not mandate a mistrial here [*9] because the court gave an adequate curative instruction. The district court agreed with Wrubleski that a person's litigation in Tax Court could not constitute a violation of § 7212(a). As we described above, this prompted the district court to give an extensive curative instruction. The court instructed the jury that any actions Wrubleski filed in Tax Court "can't be the basis of a charge of corruptly trying to impede the proper administration of the Internal Revenue Service. . . . [H]ow Mr. Wrubleski conducted himself in the litigation, that cannot serve as the basis for the first charge, which is the charge of corruptly impeding the administration of justice." "When a curative instruction is given, this court reverses only if the evidence is so highly prejudicial as to be incurable by the trial court's admonition." United States v. Garcia, 405 F.3d 1260, 1272 (11th Cir. 2005) (per curiam) (quotation omitted). Here, the evidence that Wrubleski challenged his tax liability in Tax Court was not so prejudicial as to be beyond the cure offered by the district court's prompt and thorough instruction. Because the district court cured the error Wrubleski complains of, the court did not abuse its discretion in denying his motion for a mistrial. See Newsome, 475 F.3d at 1227. The New York Times has an interesting article on a Swiss bank enabler who helped U.S. taxpayers avoid/evade U.S. tax. David Enrich, A Swiss Banker Helped Americans Dodge Taxes. Was It a Crime? (NYT 1/6/10), here. The article then recounts the significant events of the trial. Despite Wednesday’s ruling, employees and managers of Swiss banks involved in helping foreign tax avoiders have also not been immune to prosecution. I will update this blog entry as I get further information\. Swiss court stops handover of bank employee details to US (Swissinfo 11/3/18), here. Helen Burggraf, Relief for some US bankers in Switzerland as court blocks tax case info disclosure (International Investment 11/5/17), here. I offer today two interesting pre-trial opinions in a tax crimes case. United States v. Wright, 2017 U.S. Dist. LEXIS 167300 (S.D. Ohio 10/10/2017), here (referred to as Wright 1); and United States v. Wright, 2017 U.S. Dist. LEXIS 169007 (S.D. Ohio 10/12/2017), here (referred to as Wright 2). Wright 1 rejected Wright's suppression claim that the IRS investigation was an improper disguised criminal investigation and that the agent misled Wright. Wright 2 dismissed in part, but inter alia rejected Wright's argument for dismissal based on the pending investigation issue currently before the Supreme Court in Marinello, albeit in a superseding indictment context. I address these opinions in their chronological order. But, I offer now the docket entries in the case, here, the superseding indictment, here, and the jury verdict, convicting on all counts except the tax obstruction count, Count 1, here. In 1997, Wright pled guilty to attempted tax evasion. In the sentencing, the court ordered that Wright pay restitution "restitution in the amount of taxes determined by the [IRS] to be owing." That amount was never quantified by the sentencing court. The IRS, however, subsequently assessed taxes for a number of years and a substantial amount remained outstanding. In 2010, the IRS started an audit of one of Wright's corporate businesses. At that time, the auditing agent learned from her manager that Wright had a substantial outstanding tax liability. Bettelon [the agent] subsequently prepared and forwarded to Rowe a Form 13680, which allows RAs to "request research using the yK1 Link Analysis Tool. This tool provides a graphic representation of flow-through relationships created by partnerships, trusts, and S corporations. The tool uses Schedule K-1 data to depict ownership relationships and income/loss flows between payers and payees." Internal Revenue Manual ("IRM" or "Manual") § 4.10.4.3.4.3(5) (Aug. 9,2011). On November 17, 2010, Bettelon again met with Wright, and asked him "if he or [B&P] had ever been involved with any prior audits or dealings with the IRS." Doc. #52-3, PAGEID #457. Bettelon claims that in response, "Wright stated [that] he has [sic] never been involved with the IRS prior to my visit" on August 13, 2010. Id. Wright denies having ever made such a statement. By completing Form 2797, Bettelon [the agent] was informing IRS Criminal Investigation ("IRS-CI") that there existed firm indicators of fraud as to B&P, Remnant and Wright, such that a criminal investigation was warranted. Internal Revenue Manual § 25.1.3.2(1). Upon completing the form, Bettelon was required to "suspend the examination/collection activity without disclosing to the taxpayer or representative the reason for the suspension." Wright indicated that he would not sign it, and asked for an update on the status of his audit. Bettelon replied that Rowe [the Group Manager] needed to review the credit card statements that Wright had sent to Bettelon, but that Rowe was on sick leave and had not had a chance to review them. Doc. #52-3, PAGEID #458. In her Examining Officer's Activity Record ("EOAR") for the B&P audit, Bettelon wrote that she was "postponing telling [Wright] any information regarding the criminal investigation." Id. Bettelon made a similar note in her EOAR after a conversation with Wright on May 5, 2011, as IRS-CI had not yet accepted the audit transfer requested via Form 2797. Id. ; see also Internal Revenue Manual § 25.1.3.3-4 (IRS-CI's process for evaluating and accepting a criminal referral). On June 2, 2011, Bettelon met IRS-CI Agents Tony Westendorf ("Westendorf") and Thomas Buchenroth ("Buchenroth") to discuss the B&P audit and her reasons for referral. Id. On June 7, 9, 10, and 22, 2011, Wright called Bettelon to [*8] inquire about the status of the civil audit; Bettelon did not return the calls. Id. On June 24, 2011, Bettelon talked to Rowe about Wright's "many phone calls . . . and the fact that she was running out of things to postpone" returning his calls. Id. That same day, Rowe called Wright and informed him that Bettelon was no longer working on the audit, and that the case had been transferred to IRS-CI. Id. Now, I am sure readers of this blog already know the defendant's arguments for suppression.